I've developed a query which returns data which is then used as the source of an Import Scenario I built that creates Journals. At the moment, the user needs to export the query to excel, edit the excel and delete the 8 header rows added by GI, upload the new file version to the Import Scenario, Prepare & Import and then it's done (they then just release the journals, which can stay as a manual process). Is it possible to provide a more seamless integration then the above? 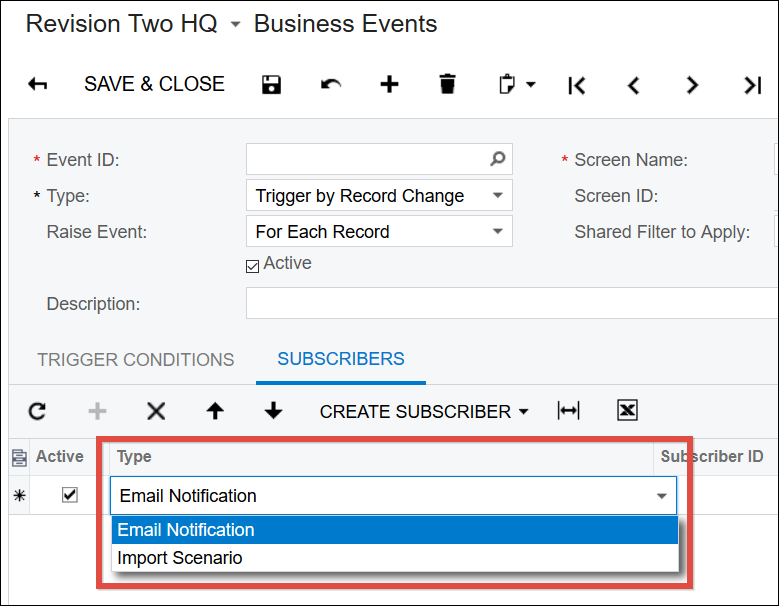 Checkout the new Business Events (SM302050) screen in Acumatica 2018. It sits on top of a Generic Inquiry and allows you to feed the data set to an Import Scenario. As you can see in the screenshot above, you reference the Generic Inquiry in the Screen Name field. Then you have the option to Trigger by Record Change or Trigger by Schedule. 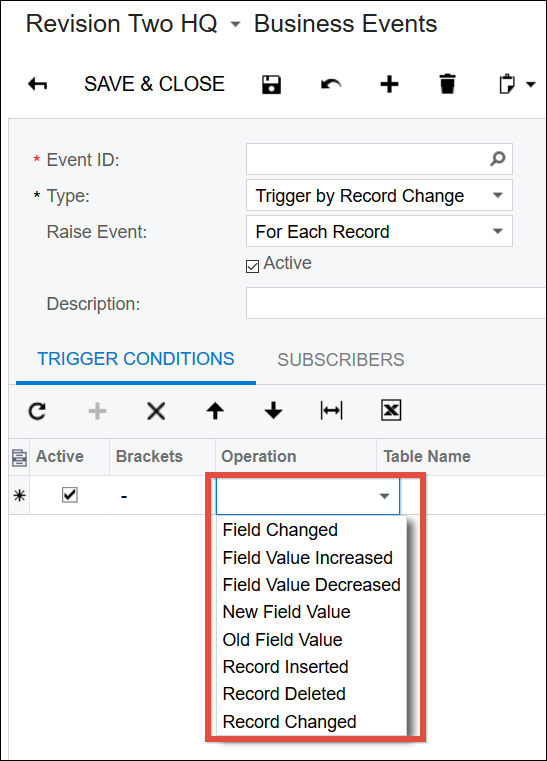 If you choose Trigger by Record Change, you have a bunch of options: Field Changed, Field Value Increased, Field Value Decreased, New Field Value, Old Field Value, Record Inserted, Record Deleted, Record Changed. So it's very flexible. Unfortunately MYOB hasn't released that version yet to Australia so we don't have Business Events yet. Hmmm, sounds interesting, but I think you would need a customization for this. Since the data is on the screen, you might not need the customization to download it to Excel. It might be possible to have a custom Data Provider created that would basically pull from the Generic Inquiry. If you could pull that off, then you could probably just have the user run the Import Scenario from the menu. Hitting the PREPARE button would pull from the custom Generic Inquiry data provider and allow them to review the data on the screen. Then clicking the IMPORT button would run the import.